WIR-41-ERV — ReNü Engineering Inc. 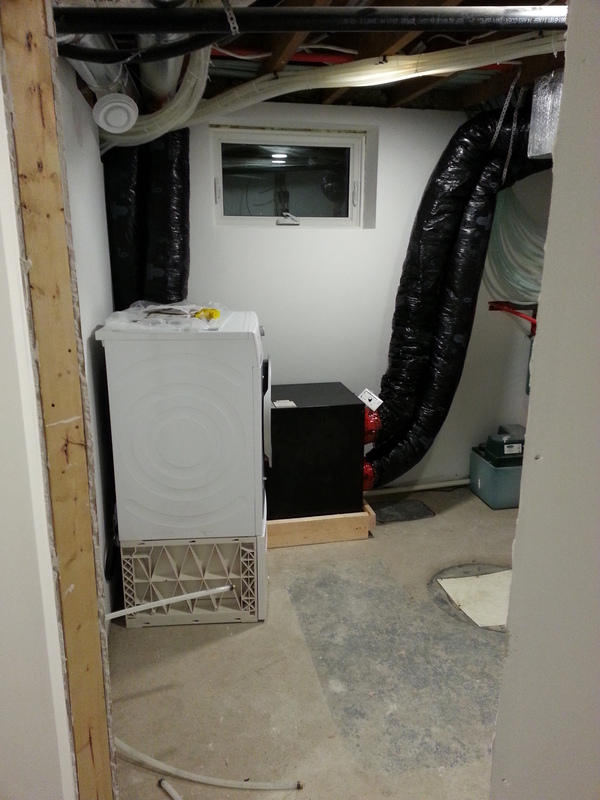 The mech/laundry room got some attention next, with the installation of the ERV and laundry appliances. 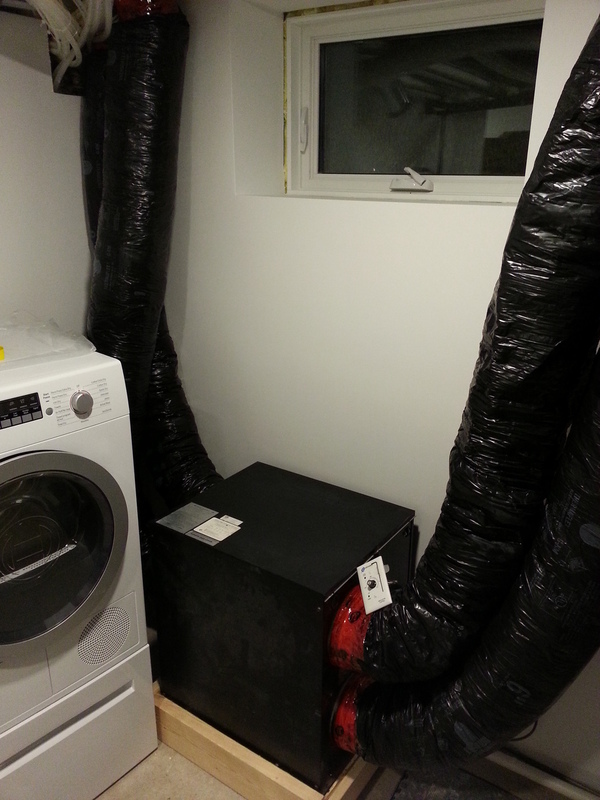 The ERV is an UltimateAir RecoupAerator 200-DX with a 3kW electric preheater from Thermolec. The preheater insulation comes curtesy of NuEnergy Mechanical, and helps to stop condensation formation during cold weather, as the preheater is set to maintain -12C. 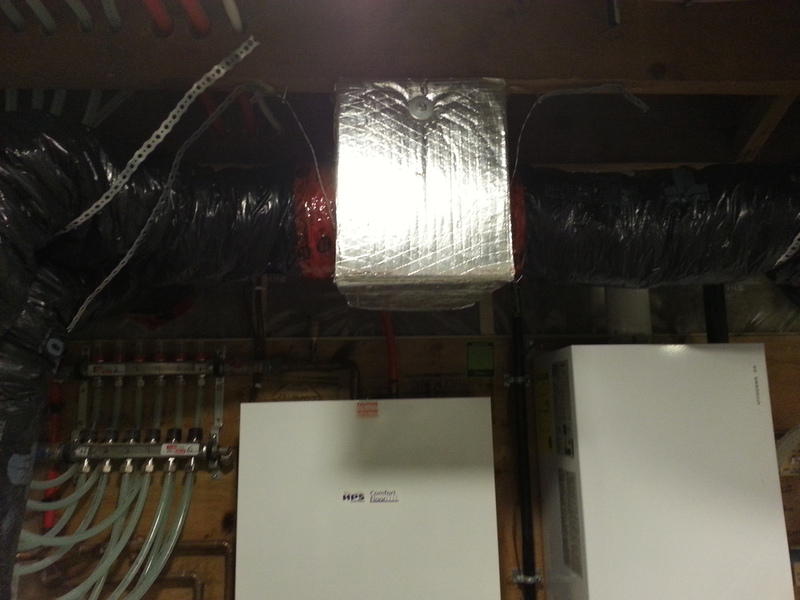 We installed a humidifier in-line on the HRV supply, as the house was down to 17% RH. The beam had split in places, and it's likely any hardwood to come would do the same. After running for a few days, the RH is up to 37%. The house has no poly right now, waiting for an exterior poly wrap when we retrofit the exterior, so it's NOT an air tight house. 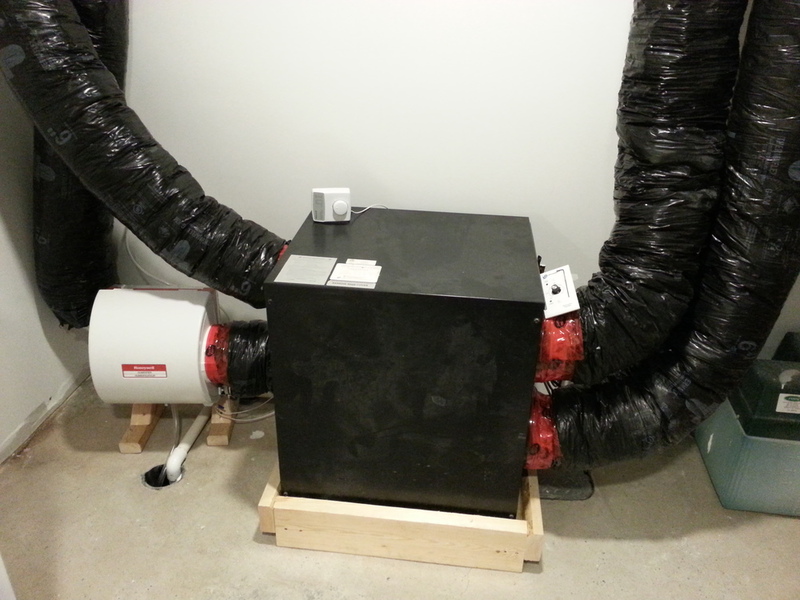 We expect the humidifier to be temporary, and once the exterior is retrofit, humidity will be much higher indoors. That's an Electrolux washer and a condensing drying from Bosch; note there's no venting! The most inefficient part about clothes dryers is that they blast all that hot moist air directly outside. 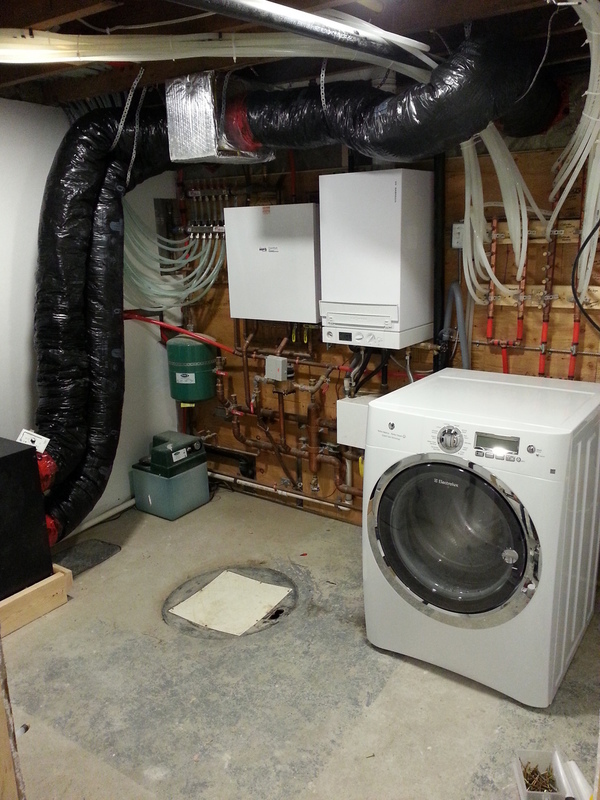 A condensing dryer separates the moisture, drains it, and then vents warm air to the surrounding room. Not a great idea in a hot climate, but in Edmonton, it's a nice source of heat!